It’s VATTA here! We wanted to share with you some of the exciting things we have done in 2017 and wish you all the very best over this holiday season this year! Hope you enjoy! VATTA what is the best thing that happened during 2017? Nick: The best thing that happened to me in 2017 was going to see a “Guns ‘N’ Roses” concert. I also just saw “Bat Out Of Hell” in Toronto. I love music and musical theatre so much! 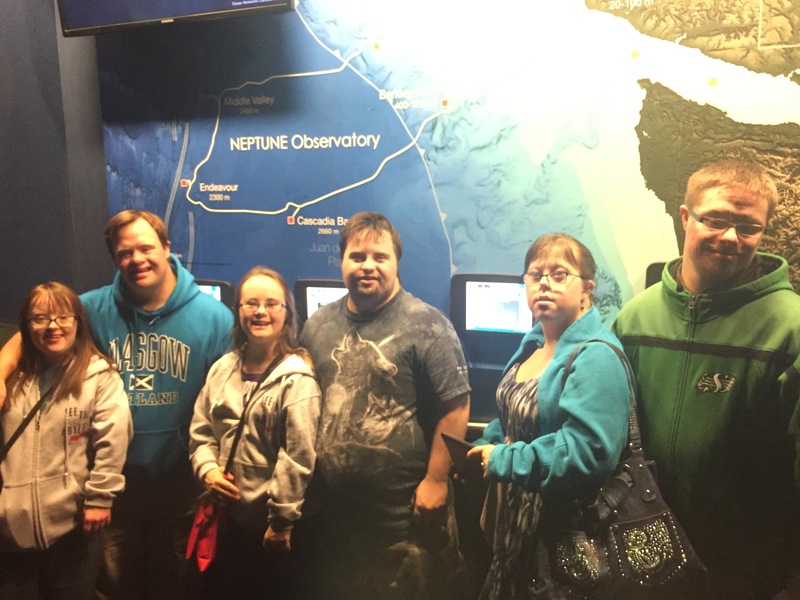 Alana: I Have just Celebrated 4th anniversary being a Volunteer at St. Michael’s extended care facility in Edmonton. My anniversary was Friday, December 8th. I really enjoy spending time there. Jessie: The best thing that happened to me in 2017 is that I got engaged!! 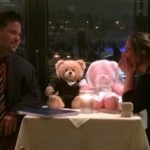 It happened at the Canal Ritz, a fancy restaurant right on the canal in Ottawa, on Valentine’s Night. Jeremy, my boyfriend, now fiancé, wrote a poem about how we got together. It was so romantic. I didn’t expect it! It was a total surprise. He went down on one knee and opened a box and it was an engagement ring. 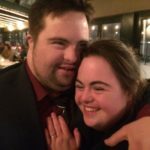 He said, “Will you marry me?” And I said “Yes!” The whole restaurant clapped. Julia: Joining VATTA is the best thing that happened to me in 2017 because I got to meet new friends and have new experiences. 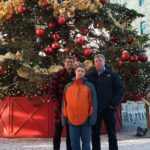 I’m excited to be on the VATTA team because I want to share the positive side of Down syndrome. 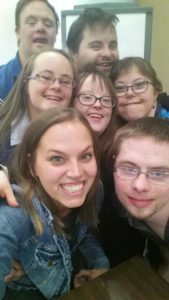 I’m looking forward to being involved in the Canadian Down Syndrome Conference in Hamilton in 2018. 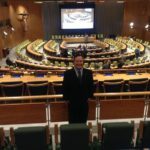 Matt: I was so honored and privileged to represent Canada, CDSS, and VATTA at the United Nations in New York. I got to meet so many incredible people from all around the world. I also was named Citizen of the Year in my hometown of Tillsonburg. 2017 was awesome! Natalie: The best thing that happened to me in 2017 was that I got nominated to be the Vice Chair on the VATTA Committee. This made me feel special and important and showed me that my fellow VATTA members believed in me enough to vote for me. As you can see VATTA had a very exciting year. As a group, they met twice in 2017 in Banff and Toronto. 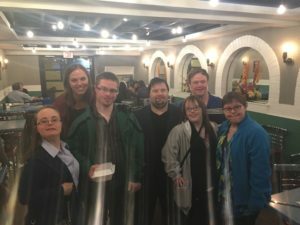 They worked hard to help CDSS in developing our inclusion presentations as well as giving valuable ideas and feedback on our upcoming aging package! We can’t wait to see what is in store in 2018 for this group! Looking forward to 2018 VATTA has some pretty exciting plans to share with you all. VATTA what are you looking forward to most in 2018? Jessie: In 2018, I am looking forward to dancing more in the Propeller Dance professional company, as I come back after my stroke. 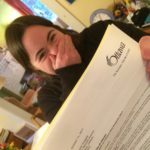 I am paid to dance and I just got an arts grant from the City of Ottawa that I am using to work with a dance mentor to help my professional career. Natalie: I am looking forward to moving out on my own in 2018 with a supportive roommate. I’m excited to have my own place and to be independent. Nick: The biggest thing I am looking forward to in 2018 is the start of building my condo. My parents and the families of my friends have been working (for years) to build a condo building where each of us will have our very own homes, for life. I will also convocate from the “Campus for All” program at the University‎ of Regina in June. Alana: In January we will be moving into our new house. This year we will be celebrating my roommate’s birthday as well as her wedding. I also will be turning 30 in 2018! I still can’t believe it, where has the time gone! VATTA what is one thing you want Canada to know about you? Matt: What I would like Canada to know about me is that I will always use my voice to speak up for anything that is important to stand up for, this is why I love being a part of VATTA. 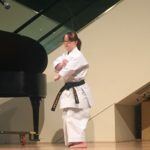 Natalie: I would like Canada to know that I have worked hard to get my second degree black belt in karate and I have traveled the world competing in tournaments. This past year in the Pan-Am games in Curacao I got a silver medal. Next year in 2018, I hope to get a gold medal when I compete in Halifax, Chile and Spain. Jessie: One thing I would like Canada to know about me is that I am healing from strokes and brain surgery. I have Moyamoya, a very, very, very, very rare neurological syndrome. But I am getting my groove back because I am strong, patient, and I have a great circle of support. Julia: I want Canada to know that I believe that it’s important for everyone to give back to others in some way. One way that I give back is by volunteering. 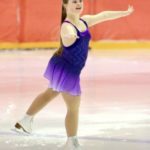 I have volunteered for many years with my figure skating club’s CanSkate Program and I love it! I help teach young children how to skate. Just recently I also have started volunteering with Special Olympics Timmins by helping with a group called Fundamentals. Everyone should find some way to give back to their community. VATTA would like to wish everyone a very happy holiday season and all the best in 2018. Have a Question for VATTA? 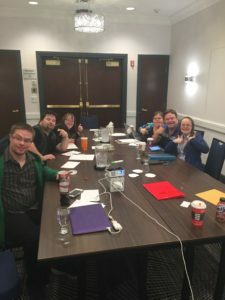 If you’re looking for more information about self-advocacy and Down syndrome, ask VATTA a question today and they may write a blog post about it.